Now you can enjoy Valentine's Day the American way! 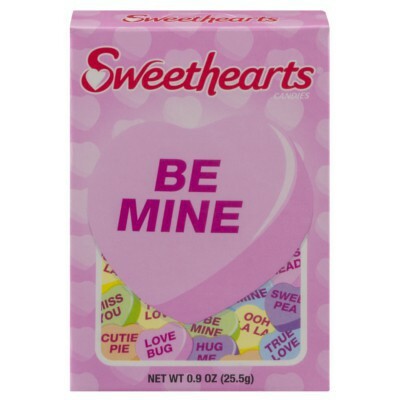 Necco, the oldest continually functioning candy company in the states, has been making their classic candy conversation hearts since the beginning of the 20th century. 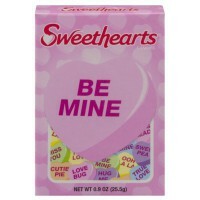 These pastel candy sweethearts have changed shape, and their dialogue, over the decades (for example,"Mother knows I'm out," "Can you polka?" and "Fax me"). 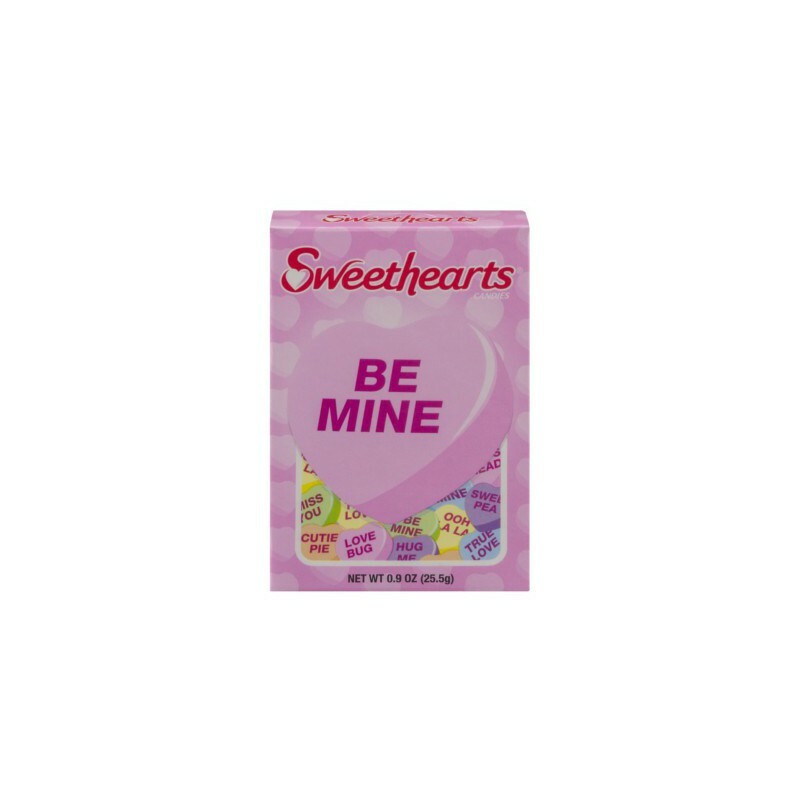 Today the brightly colored heart-shaped confections feature a slew of sayings appropriate for V-Day and every other occasion for showing your appreciation: Be mine, miss you, cutie pie, true love, crazy 4 u, and xoxo are among our favorites! Take a trip back to your childhood classroom with Necco! Sugar, corn syrup, dextrose, glycerin, natural and artificial flavors, gelatin, thickening agents E413-E415-E414, acidity regulator E330, colors E127-E102*-E110*-E129*-E133. Manufactured in a facility that also processes peanuts, tree nuts, milk, wheat and soy. *May have an adverse effect on activity and attention in children. Contains GMO. Nutrition facts (for 100g): calories 385Kcal, total fat 0g (saturated fat 0g), total carbohydrate 96.2g (sugar 0.9g), protein 0g, salt 0g. Offert à un jeune Valentin pour la fête de l'amour, ces petits cœurs à partager ont fait le bonheur d'un petit couple d'amoureux tout sucrés!